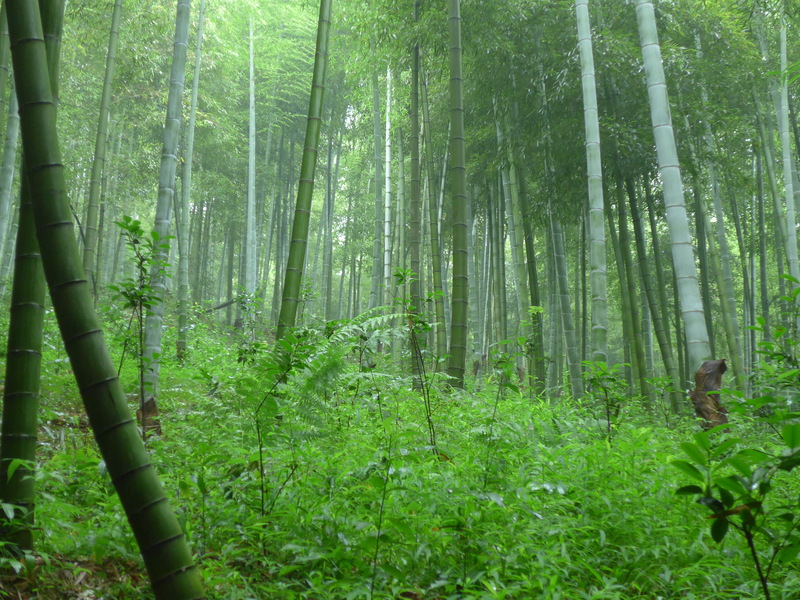 How can China’s bamboo plantations increase production sustainably? Will growing global demand for alternative fibres deliver benefits for farmers and communities? And do carbon markets have a role to play? This June 15-19, WWF-China together with the China Green Carbon Foundation (CGCF), part of the Chinese government’s State Forest Administration, are organizing the New Generation Plantations (NGP) study tour in Shanghai to seek answers to these questions. During the study tour, participants from around the world will be looking at how responsible markets and supply chains can motivate well-managed plantations. CGCF and the bamboo communities in Anji and Lin’an in Zhejiang province will demonstrate how smallholders can benefit from responsible markets via outgrowers schemes and group certification. The participants will also discuss the implications of increasing plantation productivity in China for fibre demand and markets worldwide. The pressure on the word’s forests continues to grow. World population is projected to pass 9 billion by 2050, and as incomes rise so do consumption demands. This will see increasing competition for land for crops and livestock linked with deforestation, such as beef, soy and palm oil. At the same time, WWF’s Living Forests Report projects that annual harvesting of wood from forests could triple by the middle of the century to meet increased demand for timber products, paper and bioenergy. The paradox we have created is that the more we advance on development, the more we fail on sustainability. The NGP platform is a response to this. It aims to cultivate well-managed plantations that do more with less: to maximize fibre production and shared value, while minimizing the need for land, water and chemical inputs. Bamboo plantations have the potential to be a promising part of the solution. Extremely fast growing, bamboo also plays an important role in Chinese culture and offers opportunities for farmers and rural communities. The bamboo industry in China is already worth US$27 billion and could grow to US$48 billion by 2020, employing 10 million people. The market for bamboo looks set to grow as rapidly as the plant itself. Bamboo has the potential to supply high yields of fibre in a relatively small area, provide ecosystem services like carbon sequestration and erosion control, and support rural development. Although China has a forest deficit, it has the largest plantation area in the world, and the government is seeking to further increase forest cover. With land tenure reform, small, privately owned plantations have become widespread in China. Luis Neves Silva, the NGP manager from WWF International, adds: “To resolve the sustainability equation does not suffice to stop the depletion of the world’s natural resources. We also need to produce well. That’s where the New Generation Plantations fit. Well managed, designed, inclusive and profitable plantations provide a means to tackle the paradox, making possible to couple development with sustainability”. The NGP platform is a place for sharing knowledge about good plantation practices and learning from experience, through events such as study tours, workshops and conferences. WWF is one of the world's largest and most respected independent conservation organisations, with over five million supporters and a global network active in over 100 countries. WWF's mission is to stop the degradation of the earth's natural environment and to build a future in which humans live in harmony with nature, by conserving the world's biological diversity, ensuring that the use of renewable natural resources is sustainable, and promoting the reduction of pollution and wasteful consumption. WWF stands for the World Wide Fund for Nature. The organization prefers to be referred to just by the acronym.